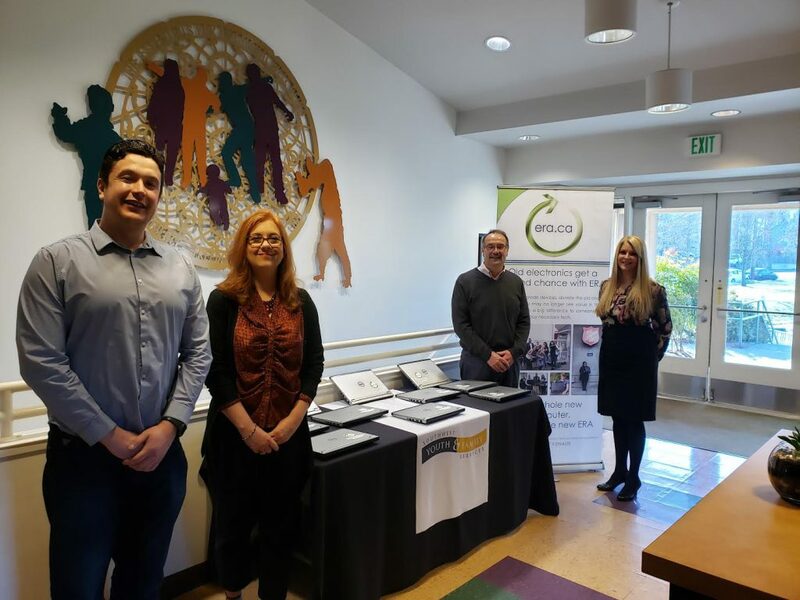 We were delighted to donate 20 laptops to the Southwest Youth and Family Services (SWYFS) in Seattle. SWYFS is a leading resource for low-income families and youth in Southwest King County. Their mission is to partner with youth and families to transform their futures. Their vision is that all residents of Southwest King County flourish and actively participate in the success of the community. SWYFS works to remove barriers to our community’s success and sustainability caused by systemic and economic inequities. Through this commitment SWYFS has become a leading resource for low-income and vulnerable children, youth and families, supporting more than 2,000 individuals annually with holistic, wrap-around services in the areas of education, youth development, behavioral health, and family advocacy. Even if they don’t have the services, they will refer to ensure that families get what they need to succeed. Since this donation was ERA’s very first donation in the Seattle area, we sought out a respected member of the community to join in on our celebrations. Councilmember Ms Lisa Herbold partnered with ERA for this donation and was involved in the exchanging of the laptops to SWYFS. We would like to thank Lisa Herbold for taking time out of her busy schedule to support organizations like SWYFS and support the Electronic Reusing Association in reducing the negative impact e-waste continues to have on our environment. If you wish to learn more about this amazing organisation, please visit their website here.